Since on-screen fingerprint scanner is an old hat, Apple uses facial recognition for identification purposes in iPhone 8. Fans and users might argue that facial recognition isn’t a particularly new technology, what makes it so special to be featured on iPhone 8? It’s simply due to the fact that on-screen touch id was being a bit of pain for Apple, especially in conjunction with low OLED supply. Although earlier speculations did hint towards iris scanner, but recent findings confirm a facial recognition system. This was revealed upon unpacking the recently released firmware for Apple HomePod smartspeaker. The firmware revealed a “face unlock” feature that is also linked with touch ID in past devices. Experts also suggested that this will help the device identify mildly obscured faces from different angles. WILL IT REPLACE TOUCH ID? While there are dozens of rumors regarding the new Facial Unlock feature, it’s still debatable whether this will completely replace Touch ID. Since both ‘Face Unlock’ and ‘Touch Id’ share the same framework, there might be a chance of both working in unison for added security. If this is true, then Apple still needs to solve their on screen fingerprint scanner issue. In Apple’s defense, their Face Unlock feature also distinguishes between a real face, and a photograph or 3D image of a face. Apple officials claim that their new ‘Realface’ technology is state of the art, and boasts of an admirable 99.67% success rate when it comes to recognizing faces. KFC gamer’s box shows Colonel Sanders’ living in 3017, while we’re stuck in 2017. Have you been crying that you cannot play games while enjoying a crunchy bucket of Kentucky Fried Chicken? Well at least the officials in KFC India feel that way and have revealed a KFC meal box outfitted with a gaming controller. Named “Gamer’s Box 2.0” this new meal includes a Mountain Dew along with your vital dose of fried chicken. According to Mr. Lluis Ruiz Ribot, Chief Marketing Officer at KFC India, “It gives gaming enthusiasts a chance to not just indulge in their favorite KFC 5-in-1 meal box, but also enjoy uninterrupted gaming, without worrying about messy food or grimy screens.” Although they still failed to explain what happened to Gamer’s Box 1.0? IS IT A PART OF IN-STORE MENU? One aspect that makes the Gamer’s Box 2.0 sounds more like a gimmick is that it’s limited. Customers can also go to their nearest KFC store, or can order one online. Alternatively, facebook, twitter and instagram users can also participate in an online contest to win the Gamer’s Box 2.0 absolutely free. It’s retail price however, has still not been disclosed by KFC India officials. Although this might sound enticing, market experts have labeled it yet another advertising gimmick that doesn’t have anything to do with actual gamers or their problems. According to PepsiCo India’s Associate Director, Ms Naseeb Puri, “Gaming in India is gaining exponential popularity across platforms. This partnership is a reiteration of our commitment to gaming and esports across the Asian nation”. 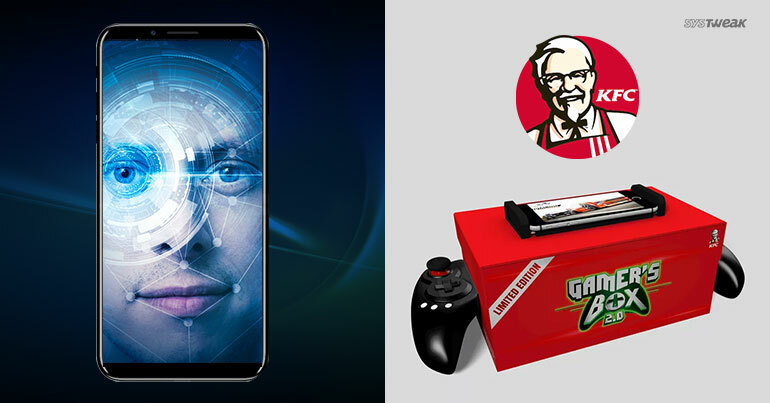 We can only hope that KFC Gamer’s Box 2.0 does turn up to be at least a bit more practical than what it’s being marketed as. We can only wonder what happened to version 1.0.